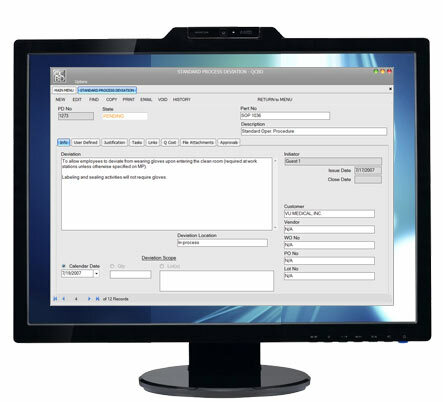 The QCBD Process Deviation Module manages and documents departure from standard practices and standard procedures typically used in FDA and ISO documentation. Regardless of how well written your procedures and work instructions are, it is often necessary to deviate from those documented practices. If the temporary departure can be justified, you can use the Process Deviation Module to document changes and create an audit trail. Use the QCBD Report screen to build custom queries of your process deviation data. Slice and dice the data in ways that are meaningful to you. Analyze process deviations broken down by category, frequency and type.